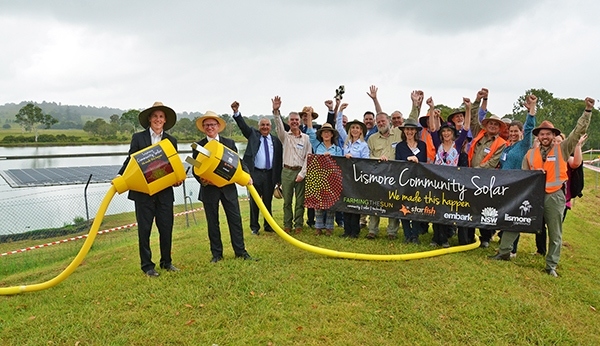 In January 2018, Lismore City Council and Farming the Sun officially launched the Lismore Community Solar initiative – the first Council/community owned solar farm in the country including Australia's largest floating solar farm. 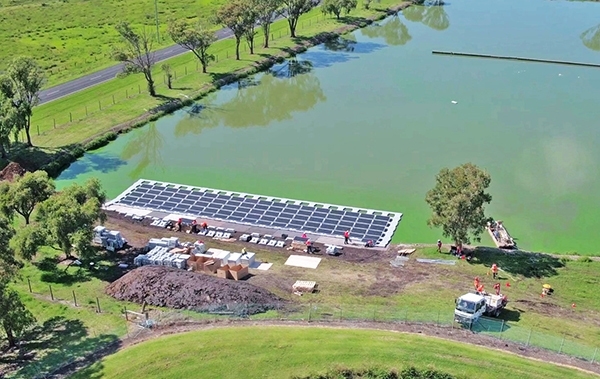 As part of the Lismore Community Solar initiative, Council established two 100kW solar farms – a rooftop solar farm at Goonellabah Sports & Aquatic Centre and a floating solar farm on the overflow ponds at the East Lismore Sewage Treatment Plant. The rooftop solar farm is now providing 15% of the aquatic centre’s power requirements while the floating solar farm’s 280 solar panels generate 12% of the East Lismore Sewage Treatment Plant’s energy requirements. The innovative floating design provides capacity for the solar farm to expand across the overflow ponds and Council’s aim is to eventually power the sewage treatment plant from 100% solar energy. Both solar farms were funded by companies made up of 20 local investors, with the funds loaned to Council under a financial model that is the first of its kind in Australia. This has generated interest both nationally and internationally as a model for government and community cooperation, with investors receiving a return better than that of a bank. The two solar farms are one of many measures in Council’s Renewable Energy Master Plan to achieve Council’s goal of self-generating all its electricity from renewable sources by 2023.